While on holiday, many view their hotel room as simply a place to store their belongings and rest up after a long day of adventuring. However, much more emphasis is being placed on lodging and all the amenities, and hotel-goers are looking for much more out of their rooms. Hotels and resorts are moving towards providing more experiential experiences for their guests, hoping to provide them with unique vacations that allow them to fully embrace their surroundings and have a better appreciation for new places. Though these types of hotels are still in the making in most regions around the country, we’ve found several that are granted to provide an experience unlike any other. 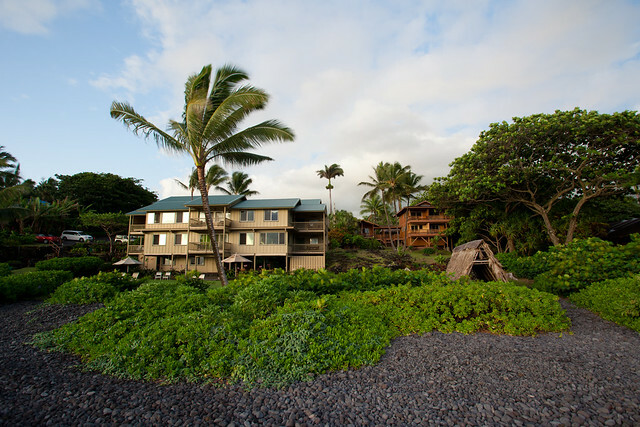 With locations in Hana, Maui and Austin, Texas, the Travaasa Resorts have a simple mission: to provide guests with an experience unlike any other. After realising that there were essentially no experiential resorts or hotels, the founders of these two resorts decided to pave the way for all seeking more than just a vacation, but the opportunity to truly discover a new place and themselves within that place as well. The Austin, Texas location will challenge your mind as well as your body with activities like a Prickly Pear Challenge Course that involves traversing across a custom course 35 feet above the air. There are also horseback riding tours, equine encounters, a BMX bike track, archery, hiking trails, as well as geocaching adventures. There’s also a full spa that provides facials, full body massages, and many more treatments specifically for men and women to help melt away the stresses of home to better embrace your new surroundings and experiences. The Hana in Maui is home to the #1 resort spa in all of Hawaii, with treatments ranging from clay body wraps, to hot stone massages. Only organic and bioenergetic, locally grown plants and essential oils are utilised to naturally treat guests, ensuring they’ll leave feeling pampered, refreshed, and rejuvenated. For those wanting to get out and explore the gorgeous Hawaiian oceans and greenery, experiences like horseback trail rides, glider adventures, stand up paddle boarding, snorkeling, and canoe adventures await you. You can also fully immerse yourself in culture by taking ukulele lessons, and learn to make traditional leis. No matter what you choose to spend your time doing, you will be surrounded by the true essence of Hawaii, which is exactly what Travaasa Experiential Resorts have set out to do. This Caribbean destination of Punta Cana, specifically in the Dominican Republic, will be providing one of a kind activities that allow guests to participate in 30 different acrobatic and artistic adventures all inspired by Cirque du Soleil. Dubbed CREACTIVE, this amenity will be offered starting June of 2015, and will be inclusive with your stay. The CREACTIVE Playscape will feature five separate areas all designed for different artistic and acrobatic activities. Guests can jump on expansive trampolines, participate in aerial wall dances, utilise a high bungee, and trapeze side by side. There’s also a Big Top Theatre where performances can be viewed, and it also houses even more acrobatic activities. Embrace the artistry that is Cirque du Soleil and soar through the air all while being surrounded by Punta Cana’s lush natural landscape. 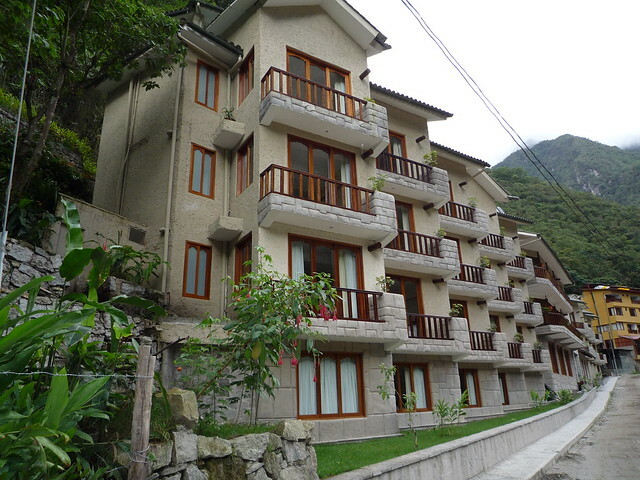 The Sumaq Hotel is the only five-star resort in Aguas Calientes, Peru. It is situated in the serene area surrounded by the Machu Picchu Archaeological Park’s rivers, waterfalls, valleys, and mountains. Peruvian dishes are prepared daily for guests, using all local and authentic ingredients. To immerse yourself even further into the ancient Andean culture, explore the grounds that are inspired by the lost city of the Incas, and participate in experiential activities dedicated to teaching guests and helping them to embrace all that is Machu Picchu. 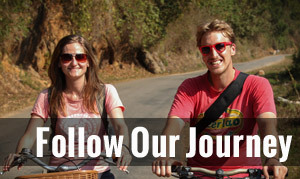 Travellers can join in on Peruvian cooking classes, witness Andean wedding ceremonies, take tours with a Shaman, give thanks during a Pay to the Earth ceremony, and bird watch during hikes, as well as countless other activities all designed to make you feel at one with the surrounding nature and cultural atmosphere. The hotel also places a strong emphasis on sustainability, and encourages guests to participate in their practices as well in order to preserve the surrounding natural beauty. 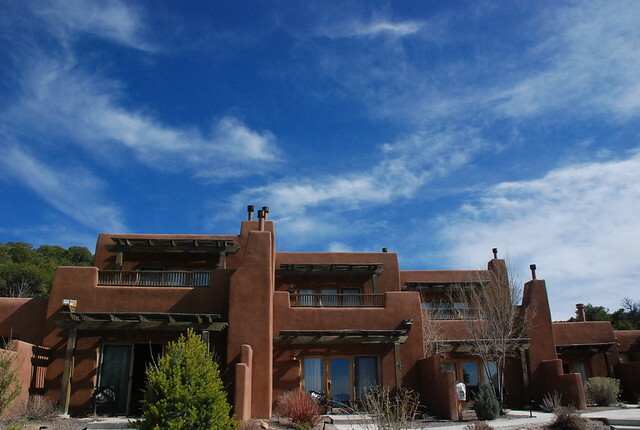 Situated in Santa Fe, New Mexico, Bishop’s Lodge Ranch Resort & Spa sits on 450 acres in the Tesuque Valley. Just minutes away from the shops, restaurants, and attractions of the historic downtown Santa Fe Plaza, this hotel provides guests with a tranquil environment that allows them to bask in the beauty and culture of the Tesuque Valley and explore the surrounding national forests in the Sangre de Cristo Mountains. The Lodge is eco-friendly and provides itineraries for both couples and families that include activities designed to be both enjoyable and informative, so that guests leave feeling renewed and ready to take on the challenges of daily life with positivity and strength. This resort also offers the opportunity for individuals and groups to work directly with horses in a program called Equus. It is designed for personal development and the building of leadership skills and trust, enhancing patience and communication skills, calmness, diversity of one’s abilities, and many more attributes. With nearly 80 different resorts across the globe, Ker & Downey Resorts focus specifically on creating travel experiences that are experiential and luxurious. 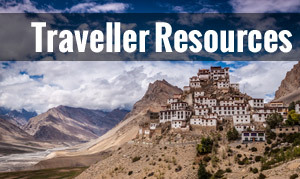 They pay specialised attention to each individual guest, creating itineraries that cater towards their likes and desires, which are enhanced through the use of private guides. Each location provides adventurous activities to help guests to reset and unwind, all while embracing the diverse cultures of every region. Adventures into the wilderness allow guests to be immersed in local wildlife, and many locations provide healing yoga retreats. Fresh, organic meals are prepared daily by chefs for all guests, which also helps them to feel refreshed, all while further embracing the tastes and daily life of the region. Pictured below is the Kulala Desert Lodge located in Namibia. Guests who wish to explore the regions of South Africa have the option of staying in this unique, luxury retreat. 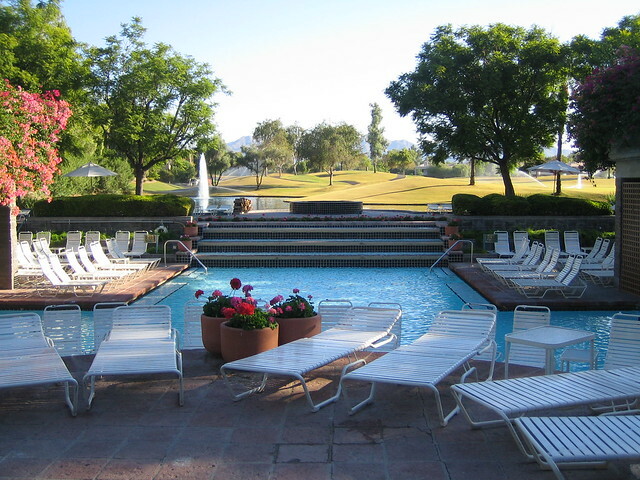 The Hyatt Regency Scottsdale Resort & Spa at Gainey Ranch provides vacations that they have specially deemed “experiential vacations” with activities for both children and adults all around popular holidays. During Thanksgiving, Christmas, New Year’s Eve, Spring Break, Memorial Day, and Labor Day, guests can choose to participate in different activities that all embrace the surrounding area of Arizona. 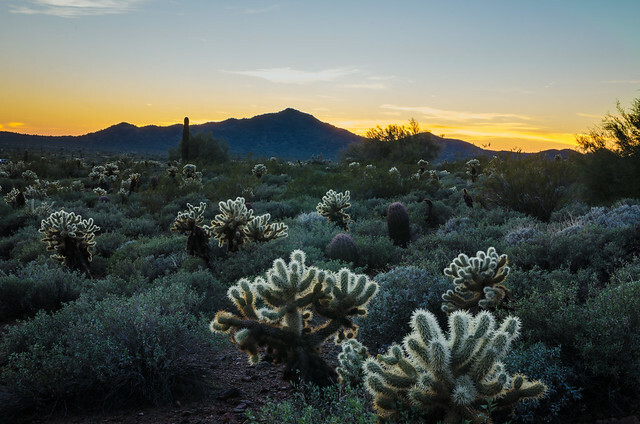 Some of which include learning about the reptiles of the Sonoran Desert, Family Fun Sing-Alongs with cowboys and Native Americans performing traditional dances, and an education adventure about the birds of prey native to the region. There are also plenty of biking and running trails, a full spa, and a Native American Learning Centre to help all members of the family learn about the history of Arizona’s culture, as well as the mission to preserve it and keep it alive today. 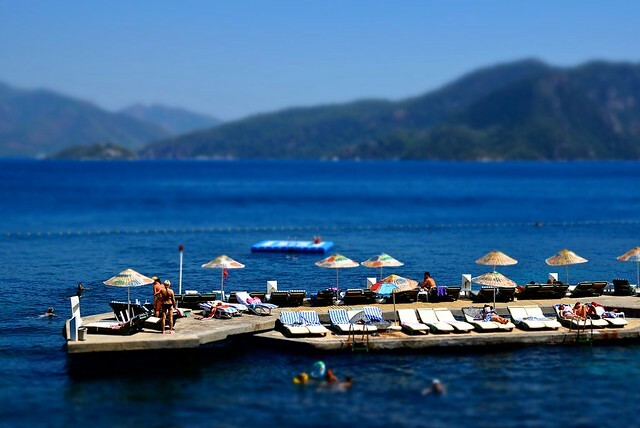 We all seek out something a little different from our vacations, but generally, everyone wants to come back home with a better appreciation for a new place and its culture, all while feeling renewed, relaxed, refreshed, and ready to take on the stresses back home. 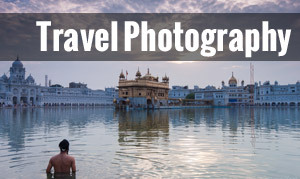 Have you had an unforgettable experiential vacation somewhere around the world? This post was submitted by Jaclyn, the community manager at Discount Park and Ride!